In the year since the deadly white-supremacist rally in Charlottesville, Virginia, there has been a growing awareness that public art is about public memory. It matters whose story is told in public spaces. From Maryland to Texas, Confederate monuments have been taken down. It took Baltimore Mayor Catherine Pugh three days to send the Confederate monuments in “Charm City” packing. 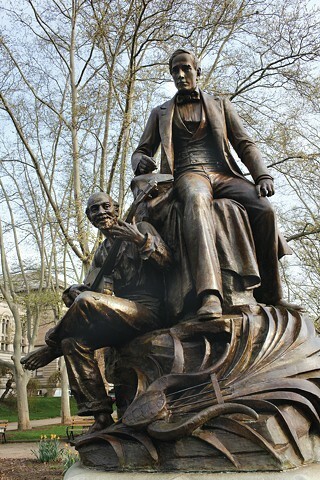 Conversations about public memory and symbols of hate were also held “Up South.” The Pittsburgh Art Commission voted to remove the monument to Stephen Foster, the “Father of American Music,” who is memorialized with a barefoot slave seated at his feet. 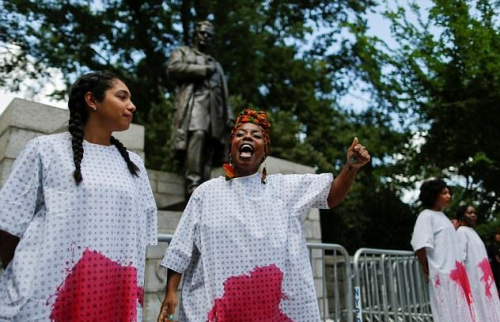 A task force appointed by New York City Mayor Bill de Blasio ordered the removal of the statue of Dr. J. Marion Sims, who operated on enslaved African American women to develop advances in gynecological surgery. In Philadelphia, calls grew louder for Mayor Jim Kenney to remove the monument memorializing Frank Rizzo, a former mayor. As police commissioner, Rizzo presided over a police department whose practice of beatings “shocks the conscience.” That was the finding of the U.S. Justice Department which, in 1979, filed an unprecedented civil lawsuit against the city over its abusive policing tactics. On the eve of the first anniversary of Charlottesville, Kenney did an about-face and said the Rizzo monument would stay at the gateway to municipal services for at least two to three years. The Mayor claims he is concerned about “incurring additional costs” of $200,000 $100,000. Truth be told, the police department will likely spend at least $100,000 quarterly protecting a monument to police brutality, racial bigotry and misogyny. But get this: Kenney presides over a city government that spent $5 million on a computer system and has nothing to show for it. Also, City Controller Rebecca Rhynhart recently reported the city cannot account for a whopping $33 million in taxpayers’ money. Mayor Kenney has taken pains to publicly underscore the value of our city as welcoming and diverse. That’s a message undercut by the delay in moving the controversial statue that for some stands for oppression. That it was confirmed so near the anniversary of Charlottesville is sadly tone-deaf — especially at a time when better listening is critical. 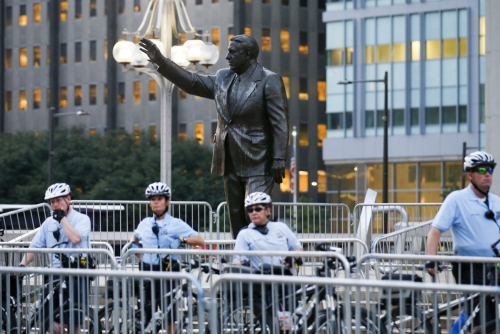 Meanwhile, Frank Rizzo Jr. said that if his father’s statue is removed, “there’s going to be a fight.” Listen up, Junior: It’s on.